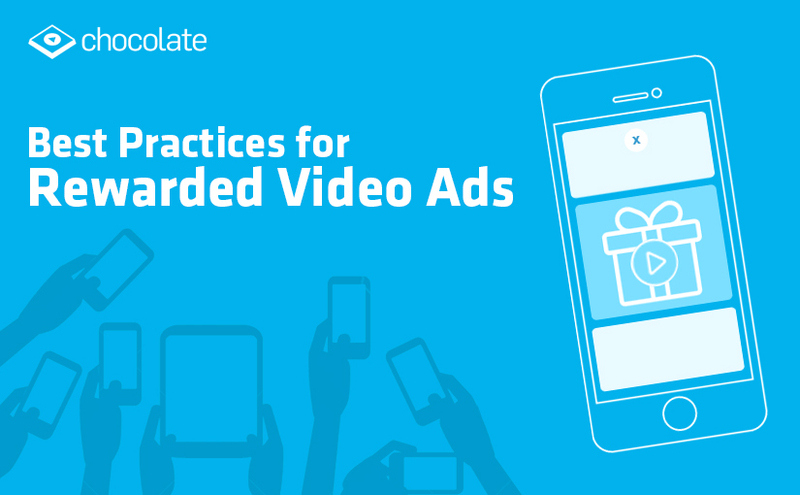 Rewarded video ads offer a full-screen experience where the involvement lasts 15-30 seconds, is non-skippable, and contains a designated reward at the end. Consumers opt-in to view a video ad in exchange for something of value, such as virtual currency in the form of ‘gold coins’ for power-ups or for unlocking features, exclusive content, and more. These numbers from an industry study, ‘In-game advertising the right way: monetize, engage, retain’1, reveal how imperative reward videos can be for developers to boost engagement and retention. Right ad placement: The way you set up the ad, the format you choose, and the user experience play a vital role in how players interact with the ad. You should clearly establish in the beginning the reward the user will get for investing time in the ad. Ensure the ad is part of the game experience and is designed to avoid accidental clicks. Figure the best fit for the ad i.e. beginning of gameplay or during the progression of the game. Lastly, limit the number of reward videos so they are considered premium and not an easy way to get in-game items. 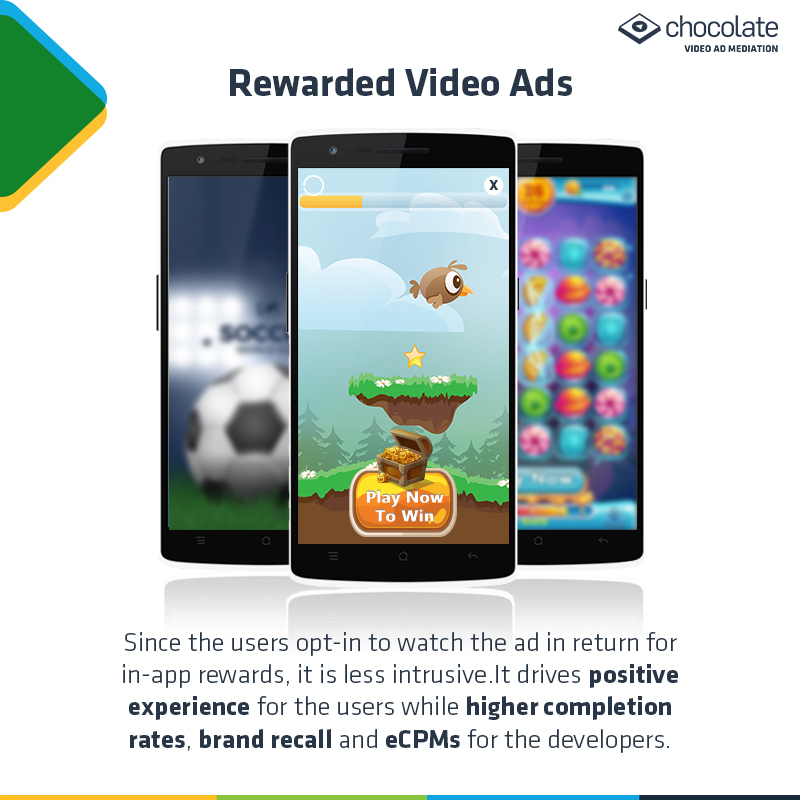 Enticing reward type: For mobile gaming apps, offering coins/gold/points is the most common way to reward users. This gives gamers the discretion to use the reward as they deem fit. At critical junctures, players can also be awarded health or extra life. Smaller rewards such as hints/directions can be placed in-game at points that commonly see stagnation. Lastly, higher opt-in rates can be expected when you offer an extra life to an engaged gamer. For non-gaming apps, offering virtual currency is a good strategy. If the app has a paid version, users can be upgraded for a specific duration and they can continue repeating the process for as long as they want to hold on to the paid version by watching videos. Personalized rewards using segmentation: Every user or player is different, so why give everyone the same reward? What you should do is categorize or segment your users based on their location, in-app behavior, etc. and then give them relevant rewards. For example, give a player who is at a higher stage of the game a reward that can strengthen his play to go forward. Give a player who logs in only once every few days a reward to lure him to play more often. Broad reward relevance: What this means is you can reward your users beyond the game by giving them tangible rewards in the real world. It could be a discount on online shopping apps or a small cash reward on a mobile wallet. You could also provide membership to a food app or access to a content streaming platform such as Netflix for a short period – the options are endless. These tried-and-tested ways should give you enough ammunition to incorporate rewarded videos in the right way. Engage. Retain. Monetize. Why Should Mobile Game Developers Opt For Rewarded Video Ads?